Snipers are exceptional. The trained sniper is a complex fusion of hard skills such as weapons knowledge, situational awareness, knowledge of ballistics and physics, and soft skills such as emotional stability, empathy, and a stoic acceptance of the hardships associated with a particular set of circumstances. There are countless instances where a single sniper, embarking on a secret mission, would have to improvise, operate beyond any hope of support, and yet still manage to carry out the mission and get back home unharmed even though the enemy was actively hunting him. 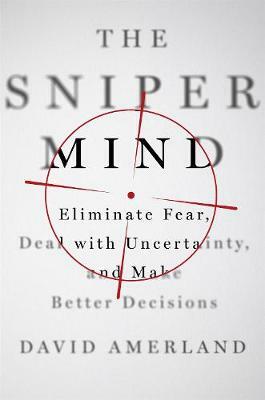 For the first time ever, The Sniper Mind reveals the practical steps that allow a sniper's brain to work in this superhuman precise, calculated way. It teaches readers how to understand and apply these steps, whether they are stuck in a cubicle facing mounting piles of work or sitting in a corner office making industry defining decisions. Through the explanation of advanced military training techniques and cutting-edge neuroscience, this book provides concrete strategies and real-world skills that can help us be better: At our jobs, In our relationships, In our executive decision making and In the paths we choose to take through life By learning how snipers teach their minds to eliminate fears and deal with uncertainty we can also develop the mental toughness we need to achieve the goals that seem to elude us in business as well as in life.